It's cool to learn some English as a side dish to Swedish :). It's interesting that this creature resembled fish, bugs or even dads for ye olde britts! This might be a different lesson, but does kräfta represent crayfish, crabs and lobster? Nope. Those are kräfta, krabba, and hummer, respectively. And it's skaldjur for shellfish - literally "shell animals". Oh yeah, I forgot about Krabba in the way early lessons. I think that the reference to the zodiac sign of Cancer as "Kräfta" threw me off since it's supposedly "Cancer the crab"
Yeah, I can see why. :) And in fact, kräfta has actually at one time been the predominant word for the disease cancer (like e.g. Krebs in German), but it's very rare nowadays. Jag googlade både 'kräfta' och 'hummer' och tryckte sedan på bilder, men där visar samma bilder på bäge två. Vad är det för skilnad egentligen mellan de där två? Hummer är större, godare och dyrare :). Och den lever i havet. (Det finns både havskräfta och insjökräfta.). just a note - another (perhaps regional?) 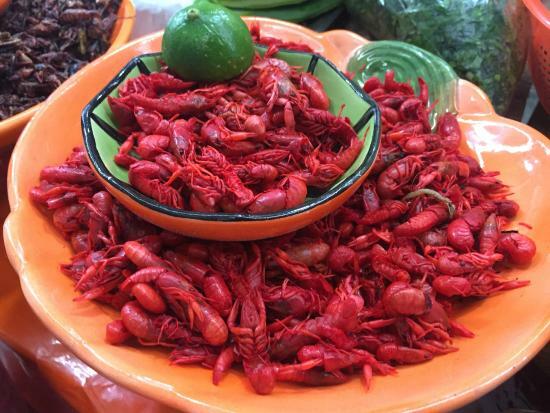 term for crayfish is "crawdad." that's how i know them at least. i knew the word kräfta but had to double check the meaning when crawdad wasn't accepted. lol, it's crawdads. although crawdaddies would be hilarious. OK, I've added them to the plural sentences too. Where I'm from crawdaddies is acceptable. I've never even heard the word crawdad, never mind contemplated the plural! En röd kräfta är en "acocil" in Mexiko. Often they are brownish or almost black when alive, but red when they've been boiled. Okej! Tack! So it's the same as for lobsters! Nice to know the Swedes appreciate crawdads! Nothing as yummy as crawdad bisque!